Mold Testing Samples are Sent to a top Accredited Microbiologist Laboratory. We use EMSL Laboratory in Woburn MA. in your home, you may be at risk of mold contamination. If you suspect that you may have a mold problem, call us today to speak to an expert. • Nose or throat irritation • Skin rashes or irritation Headaches, memory problems, mood swings, nosebleeds, body aches and pains, and fevers are occasionally reported in mold cases. • It depends. For some people, a relatively small number of mold spores can trigger an asthma attack or lead to other health problems. For other persons, symptoms may occur only when exposure levels are much higher. Nonetheless, indoor mold growth is unsanitary and undesirable. Basically, if you can see or smell mold inside your home, take steps to identify and eliminate the excess moisture , cleanup and remove the mold immediately. Allergic persons vary in their sensitivities to mold, both as to the amount and the types to which they react. In addition to their allergic properties, certain types of molds, such as Stachybotris chartarum and some aspergillus & penicillium molds may produce compounds that have toxic properties, which are called mycotoxins. 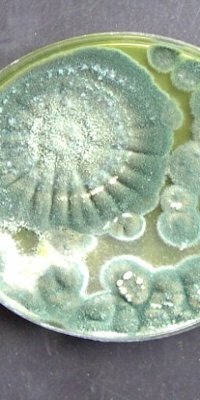 Mycotoxins are not always produced, and whether a mold produces mycotoxins depends on what the mold is growing on. Conditions such as temperature, pH, humidity or other unknown factors play an important role. When mycotoxins are present, they occur in both living and dry dorment mold spores and may be present in materials that have become contaminated with molds. While Stachybotrys is growing, a wet slime layer covers its spores, preventing them from becoming airborne. However, when the mold dies and dries up, air currents or physical handling can cause spores to become airborne. At present there is no environmental test to determine whether Stachybotrys growth found in buildings is producing toxins. The most common initial complaint people have when exposed to this mold type is a sudden headache or sore throat. There is no reliable blood or urine test that can establish if an individual has been exposed to Stachybotrys chartarum spores or its toxins. Exposure to mold is not healthy for anyone inside buildings. Therefore, it is always best to identify and correct high moisture conditions quickly before mold grows and health problems develop. Some people may have more severe symptoms or become ill more rapidly than others: • Individuals with existing respiratory conditions, such as allergies, chemical sensitivities, or asthma. • Persons with weakened immune systems (such as people with HIV infection, cancer chemotherapy patients, and so forth) • Infants and young children • The elderly, anyone with health problems they believe are due to molds should consult a medical professional.